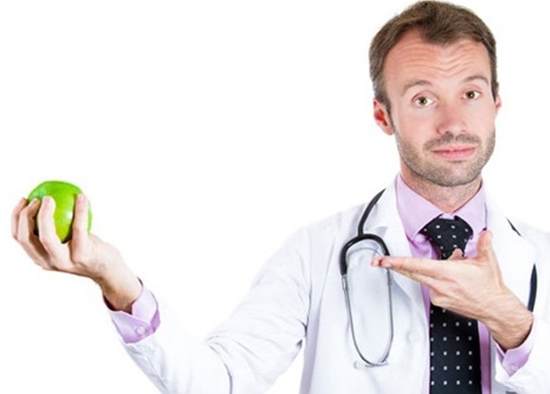 Home » Blog » Can an Apple a Day Keep the Doctor Away? An apple a day may not keep the doctor away, but an apple a day is a good start towards a long, healthy and happy life! In fact, apples along with other fruit and vegetables are powerhouses of vitamins, minerals, antioxidants, phytochemicals and fibre. Apples have a low glycaemic index (GI), are rich in soluble fibre (that can help lower blood cholesterol and blood glucose levels) and are packed full of vitamins and minerals such as vitamin C and potassium. An apple added to a simple tomato and cucumber salad can lift it to another level and even help those fussy eaters eat their veggies! A fresh, crisp apple – choose your favourite kind – mine are Granny Smith Apples – what are yours? Here’s a simple and tasty recipe for a baked apple that can be enjoyed by the whole family as a snack or dessert. With both apples and walnuts/pecans and a dash of cinnamon, this recipe tastes good and is good for you! Wash and core the apples, making a narrow well in the centre and leaving the bases intact. Mix together the nuts, brown sugar, cinnamon and vanilla. Fill the well in the centre of each apple with the nut mixture. Place the apples in an oven-proof dish and pour over the orange juice/low joule orange cordial. Cover with foil and bake for 20 minutes. Remove foil and bake for a further 15-20 minutes or until cooked and tender. Serve warm drizzled with orange juice from the pan.